ACAD Pte Ltd introduces GstarCAD 2015. Based on the unique CAD platform, this newest version is upgraded from GstarCAD 8. 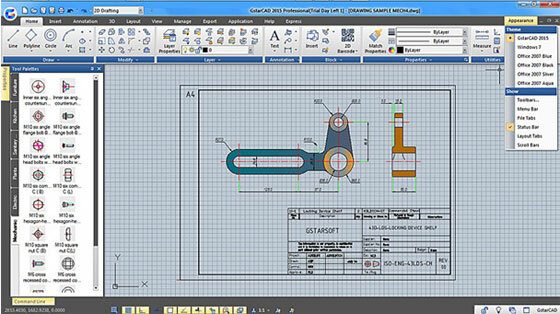 GstarCAD 2015 contains some crucial drafting solutions merged with a collaborative facility and ground-breaking features. With GstarCAD 2015, the CAD users can experience an improved workflow for generating documentation, detailing as well as distributing drawing data to create design. GstarCAD is the world’s most recognized 2D/3D CAD software (Computer aided design) platform based on speedier kernel..
Watch the following exclusive video presentation that highlights the various features GstarCAD 2015. For getting more updates, send mail to contact@acad.com.sg or visit http://www.acad.com.sg.